America has no shortage of muscle cars on offer but the new Camaro ZL1 sets itself apart as being the best of a rather excellent bunch. 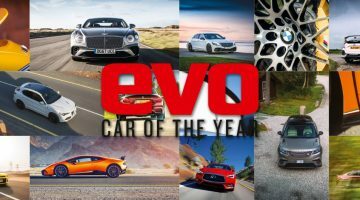 Without wishing to sound like miserable killjoys, at evo we’ve recently been mulling over the matter of having too much of a good thing. How much is too much? Or is there no such thing, at least when it comes to performance cars? endow their current creations with previously unimaginable firepower. That we now have cars and SUVs that can transport entire families while deploying more than 700 horsepower is, quite frankly, ridiculous. Yet that is now the benchmark for American muscle cars and, despite producing ‘only’ 650bhp, the Camaro ZL1 is eminently usable in practically any driving situation you could conjure up. And no, the ZL1’s pent up energy isn’t released to each corner via some trick four-wheel drive system. 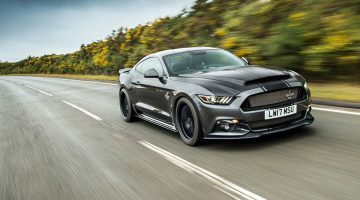 Instead it’s all delivered to the tarmac via the rear wheels only – a fact that might strike fear into the hearts of mortal motorists who have no idea how to correct a wayward muscle car once it steps out of line. Here, though, there are a multitude of characters available via different drive settings that provide almost failsafe backup should your talents be lower than the car’s. It’s a good job, too, because the performance envelope here is absolutely enormous. While it is able to negotiate city gridlock without complaining too much, once there’s enough space and you plant your right foot, the world instantly becomes a blur as the supercharged V8 screams its heads off. 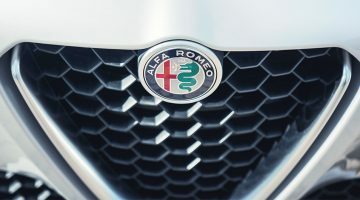 That, you might say, is no big surprise but what we weren’t expecting was the perfect harmony between this beast of an engine and the new, 10-speed automatic transmission. There’s no hesitation, no slushing around while hunting for the correct ratio – just instant, point and squirt speed that comes in colossal lumps. The real party piece, however, is the way the ZL1 can negotiate even the tightest corners while carrying speed that could have you reaching for clean underwear. Its magnetic suspension, while offering a perfectly comfortable ride in normal conditions, can still defy the laws of physics and carry this behemoth through the twisties as though it’s a nimble hot hatch. This, in turn, allows even novices to explore the kind of shattering performance that only the likes of Le Mans racecars used to provide. Next Article Lamborghini Urus. Interview with Lamborghini CEO, Stefano Domenicali.